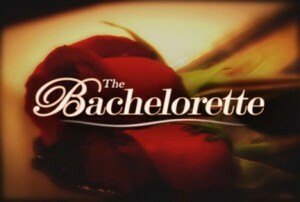 This season of the Bachelorette has come to an end and Emily will be picking her guy tonight! Who do you think it's going to be... Jef (with 1 F) or Arie? I can't wait to see. I think Emily has done an amazing job as the Bachelorette and has narrowed it down to two men that she could really have a relationship outside the world of Reality TV cameras. But my question is... will there be a proposal? What is the reason for a Live After the Final Rose? We'll just have to watch and see! To end this exciting season Kiptyn and I will be hosting a Live Viewing Party along with EXTRA TV host, Renee Bargh and our old Bachelor Pad cast mate, The Weatherman. Join us at 5PM PST/8PM EST TONIGHT (Sunday, July 22, 2012) right here. The Spree Cast below is where we can all watch the show together, interact with you and answer your questions, and simply enjoy a viewing party with you guys! We can't wait to meet all of you as we chat through tonight's show! Oh, and you might end up on EXTRA! So get your computers, your friends, and set up your Spree Cast (click below to sign in or create an account) and lets party! It's just a few hours away!! I Haven’t watched it yet, I’m recording it and will watch it when my Now Husband, (we just got back from our Honeymoon in Hawaii 12 days ago) goes to work tomorrow but I’m hoping Emily picks Jef. Congratulations Luanne! !I hope you had an amazing honeymoon. Enjoy the show! Is there any way yal can show the tv screen? I don’t have cable and I would love to see it and hear your comments???? Hey Heather, sorry we weren’t able/aloud to do that! I hope you got to see it by now! What is it like during the times when there is a Bachelorette/Bachelor get together? How does everyone in the room get along? Is it just awkward? Elizabeth, Do you mean when past bachelor & bachelorettes are together or when the Bachelorette/Bachelor is with all of the contestants?